The V1 Elite Home Gym allows to customize the equipment to achieve your personal fitness goals. It has a sleek, attractive, compact design that requires little floor space, so you can move easily from one exercise to the next! 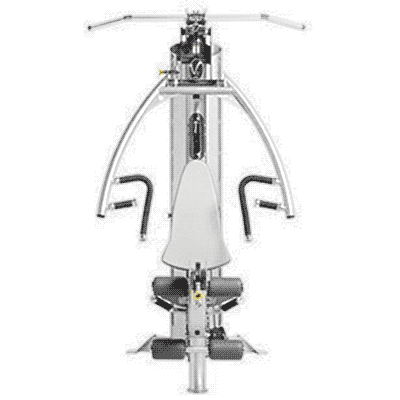 The highlight of this home gym is its patented leg station which gives you the ability to do seated leg curls and extensions no matter what your leg length. Its multi-function back pad also telescopes and tilts to provide superior upper body support during chest, back, and shoulder exercises. *NOTE: This model comes with a standard weight stack of 150 lbs. Additional 50 lb. weight stack available for an extra charge.